Pin image credit to Abi Porter – Flickr – Changes were made to the original image. 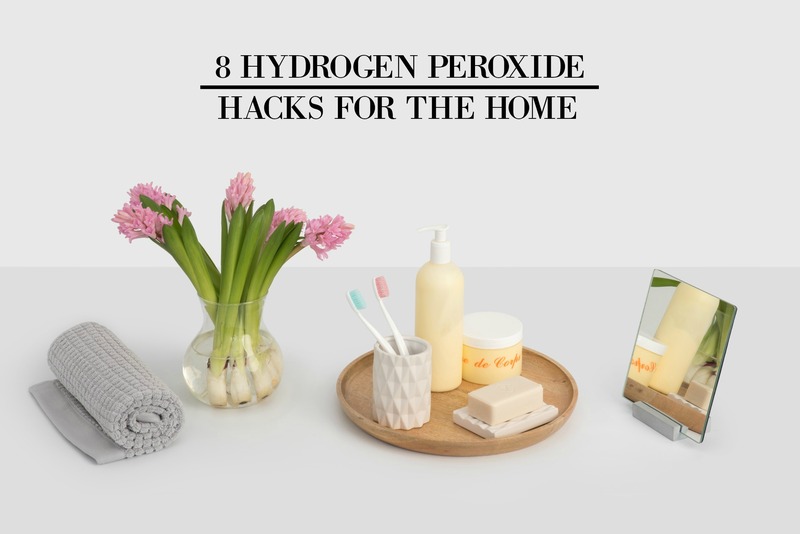 Hydrogen peroxide is a home staple and seriously versatile. I mean, more than great for first aid kits, this product can do so much more than it’s meant for. And down below, I’ve gathered some amazing uses of hydrogen peroxide that will definitely help you a lot. Whether you’re looking for some practical home tricks or beauty hacks, this list has got you covered. Plus, they’re easy and simple to do, and will make your life easier. So check them out and let me know what you think! Your makeup brushes can accumulate dirt and dust with overtime use. And while there are lots of makeup brush cleansers in the market that help get the job done, you can also take good care of your tools by simply using hydrogen peroxide. You’ll definitely be saving a lot of money. If you ran out of toothpaste at home, try combining baking soda and hydrogen peroxide until it’ll look a paste. Put on your toothbrush and use as a toothpaste. The peroxide cleans and both peroxide and baking soda will help whiten your teeth! Instead of buying some toxic and chemically made toilet cleaner, try using toxin-free hydrogen peroxide and pour half a cup of it into the toilet bowl. Let it sit for few minutes and then scrub clean. Flush when finished and it’ll look clean in no time. Just because you’re using your toothbrush every day mean it’s now free from germs and other bacteria. In fact, when you leave them on the counter, they can collect dirt and dust throughout the day. So to keep them clean, try using hydrogen peroxide to clean your toothbrush before putting it into your mouth. Surprisingly, hydrogen peroxides works well in killing all of the bacteria that promotes acne. Try to pour a little bit of it onto a cotton swab and wipe it in the affected areas. It will dry out the oils present on the skin, which may play a role in preventing breakouts. You can also use hydrogen peroxide to get a streak-free mirror. Just spray it on the mirror and then wipe it down with a paper towel. If you find yourself with a cold sore, consider gargling some hydrogen peroxide around your mouth and spit it out. This will heal faster the sore and much cheaper than any drugstore medicine. Just be sure, not to swallow it since it generates oxygen bubbles in the stomach. You use your sponge to clean your dishes, so it only makes sense to disinfect it as well. To easily do this, soak a sponge in peroxide and warm water and let it sit for a bit. The peroxide will do all the work, killing off all the germs and bacteria in your sponge. Now if you have any questions, feel free to ask me in the comments down below! I’d love to help you out!